One cannot read this book and overlook the concept of the father. Paternal influence, more specifically, fatherly love is so crucial to the process of self-discovery. The absence of that particular kind of love, damages every single character. Yes, the father; protection, guidance, love. And when that influence is scarce or non-existent, it’s sometimes replaced with a different source, a different paternal institution, a different Father. The Lord. But this paternal connection doesn’t work for everyone. It’s a source of conflict for the fatherless and loveless. John’s character is the best example of this. At first, John cannot love the Lord because his father loves the Lord, yet the father does not love his son John. It doesn’t make sense to John. Because of his confusion he refuses to be part of anything his father is devoted to. What’s the reason? Why can’t the father love his son? Thanks! It's a really great book. 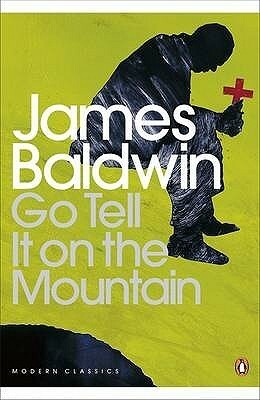 James Baldwin is a such a good writer. Very real. I had to read it in small doses because it was so real...for me anyways.